As legacy ExactTarget partners for over six years, we understand the power Salesforce Marketing Cloud presents. Whether data already exists in Salesforce or in other CRM or ERP data sources, we’ve worked with them all. Understanding how to structure data for the purpose of marketing and then helping to activate channels in a phased, pragmatic approach is what customers trust us to drive their success. Whichever studio (email, mobile, social, web, data, advertising) is required to deliver the customer experience, we’re at hand to execute fast. Let us be your Salesforce Marketing Cloud (ExactTarget) experts. 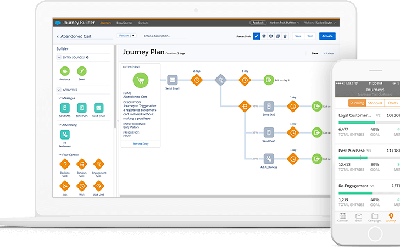 Need help with Salesforce Marketing Cloud (ExactTarget)? Fill in the form below and we will be in touch.